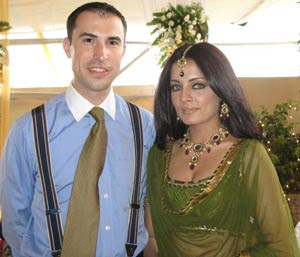 New Delhi, Jan 4 (IANS) Celina Jaitley is not married yet, says her publicist who, however, confirmed that the beauty queen is engaged to her long time beau, Dubai-based hotelier Peter Haag. "Celina Jaitley and Peter Haag are very much together. They exchanged rings in a small ceremony in Mumbai during Durga Puja with their first families present. The official wedding date is yet to be announced," said a statement from her publicist. The 29-year-old's representatives were compelled to come out with an official statement on her marital status after rumour mills were abuzz that the blue-eyed beauty clandestinely tied the knot with Haag recently.